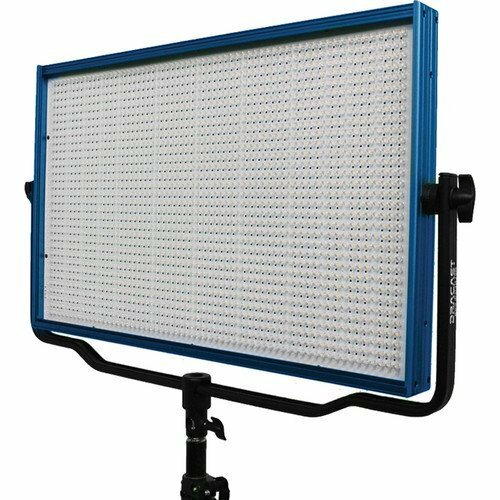 Expanding on their line of panels, the LED2000 Plus Series Bi-Color LED Light from Dracast adds a digital display for adjusting output as well as 5-pin XLR DMX input and output for linking and has a standard 4-pin XLR DC input for power. 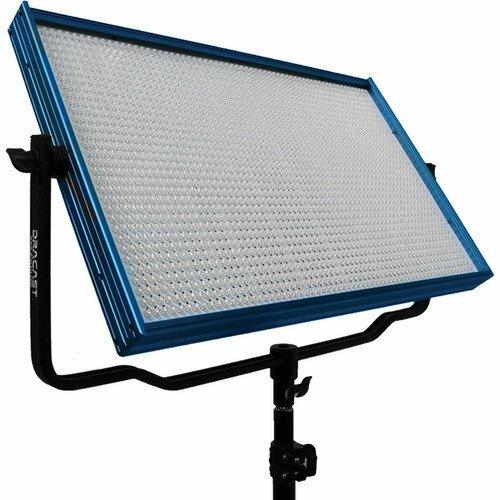 The light features 2048 LEDs with a high CRI of >95 for excellent color accuracy. 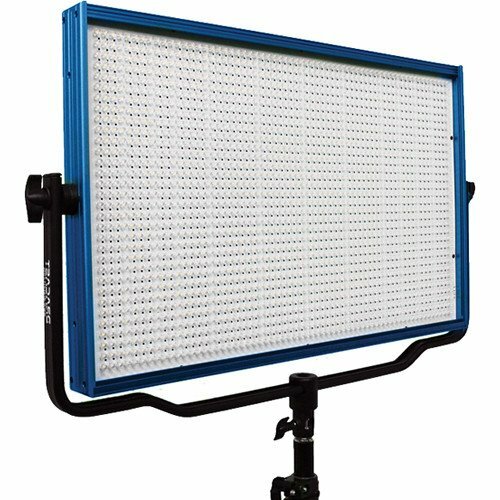 Also, this model features a variable color temperature from 3200-5600K for quickly matching either daylight or tungsten sources without needing to mess around with gels. The light offers a spot beam angle of 45° as well as dimming from 0-100%. Benefitting operation, it can run off of either a DC source, such as a 28.8V Block battery, or a universal 100-240 VAC adapter. 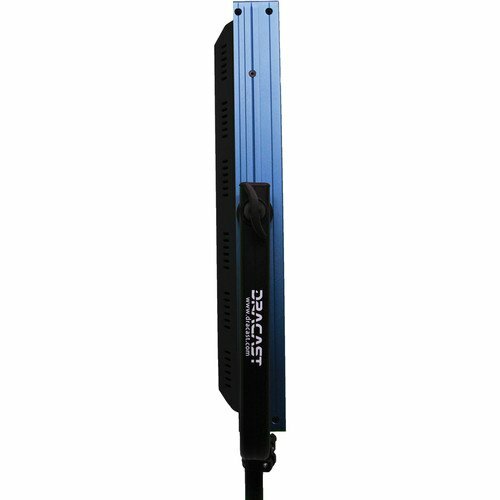 The light is durable as well with an aluminum chassis, frame, and mounting yoke and it only consumes 130W of power. Additionally, weighs 9.5 lb and measures 15 x 24 x 2″ in size. 29.0 x 21.0 x 5.5"